Guyana Football Federation (GFF) Headquarters in Section-K Campbellville. 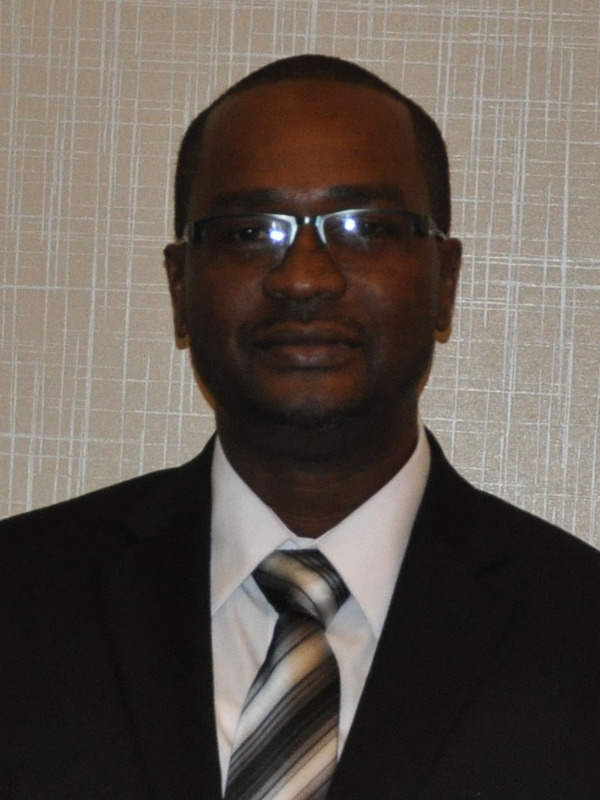 Scheduled to be part of the celebrations for Guyana’s 50th Independence Anniversary Jubilee, the match, which will kick-off at 19:00hrs on May 15th at the National Stadium, is being facilitated by the GFF International Ambassador and former International Player Canadian Hall of Famer Alex Bunbury. 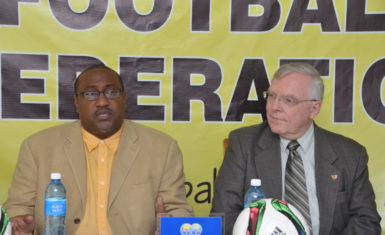 Canada’s High Commissioner to Guyana Pierre Giroux, right and Golden Jaguars coach Jamaal Shabazz. 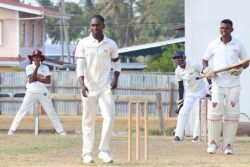 Golden Jaguars Head-coach Jamaal Shabazz said that is a fantastic opportunity to play against a nation with such pedigree, noting that the individuals that made the match a reality should be thanked for their efforts. 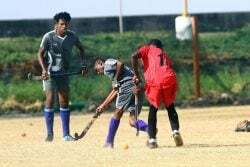 He added that the fixture will be used as preparation for the nation’s upcoming second round matches in the Caribbean Football Union (CFU) Caribbean Cup Qualifiers. 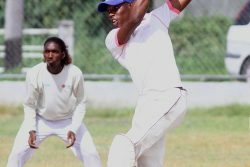 Golden Jaguars International Eon Allen said he is very excited about the impending matchup as it is a dream come true to face the Canadians, noting he will put his best foot forward since he is entering the peak of his powers. 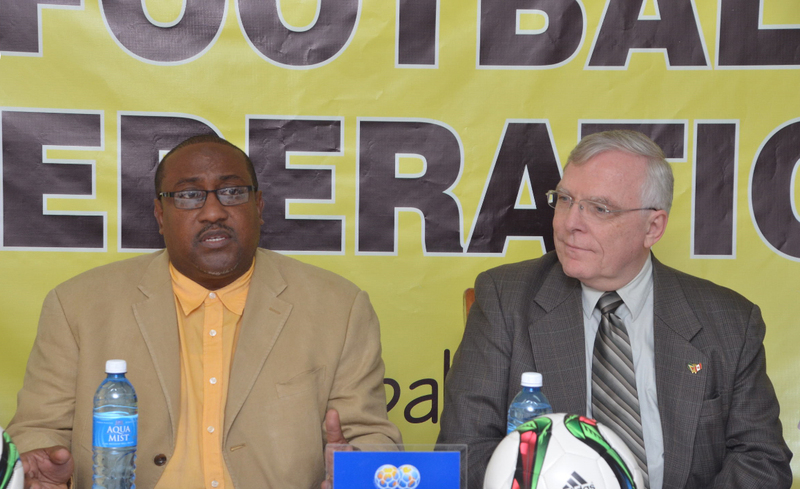 Concluding the briefing was President of the GFF Wayne Forde who praised the government for their assistance in the fixture. “I’m very thankful that the government is seeing football as a unifying force,” he said. Guyana’s next engagements in the CFU Cup Qualifiers are against Curacao and the United States Virgin Islands during the month of June.